The handlebar mustache has earned the reputation as one of the most popular facial hair styles to represent refined manliness. When you suit a handlebar mustache, you invite conversation from other fans of the style and general intrigue from onlookers. Reaching the point of having the perfectly crafted handlebar mustache takes a lot of time and patience. When you do reach your aesthetic goal, maintenance becomes critical. That’s why it is imperative to learn how to trim a handlebar mustache. Before you learn how to trim a handlebar mustache, you should know a little bit about the style’s history. The handlebar mustache has been around for many centuries. Its popularity peaked during the late 19th and early 20th centuries and has maintained a steady following since then. The handlebar mustache was very popular during Edwardian and Victorian eras when barbers would use stiffening products to shape the handlebar. In the modern era, the handlebar mustache is often associated with the Steampunk crowd or barbershop quartets. 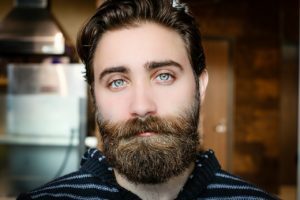 If you are in the process of growing your handlebar mustache to meet your desired aesthetic or thinking about adopting the style, there are a few tips that will help make the growing process more manageable. Practice Patience: growing a handlebar mustache is no simple feat. You need to commit at least 3 months to the process before you start noticing any significant difference in the appearance of your mustache. Expect the full growth process to take about 6 months. Use a Strong Wax: in order to achieve your desired results, it’s important to use a very strong wax. As you grow your handlebar mustache, you will use the wax to train the hairs to grow in the direction you want. The stronger the wax, the better the end result. I recommend that you check out the mustache wax by Mountaineer brand (available on Amazon). When your handlebar mustache has fully grown out, you will enter the stage of maintenance and find yourself needing to take on trimming. Whatever you do, stay patient and do not start trimming your handlebar mustache until you have all the equipment you need and have blocked out a dedicated time slot for the job. Think of your mustache maintenance as an art and give it the respect it deserves. That way, you will end up with the results you’re after. Mustache Comb: it’s helpful to have two combs at the ready, if possible. You will want to use one to style and train the hair, and the other to apply the mustache wax. To see the comb that I recommend that is available on Amazon, click here. 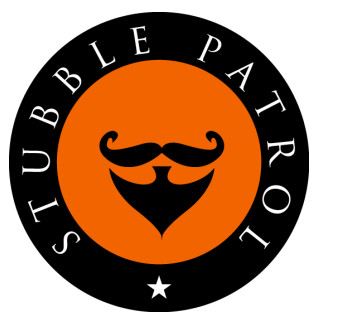 Mustache Wax: your mustache wax is the secret weapon in helping you shape your handlebar mustache exactly as you want it. You will judge how much wax to apply to your mustache depending on its thickness, length, and how fast it grows. To learn what the right amount is for you, experiment. Beard and Mustache Oil: regular use of oil will ensure that your mustache stays conditioned. The skin under your hair will remain soft and hydrated, as well. Never go more than two or three days without applying oil. 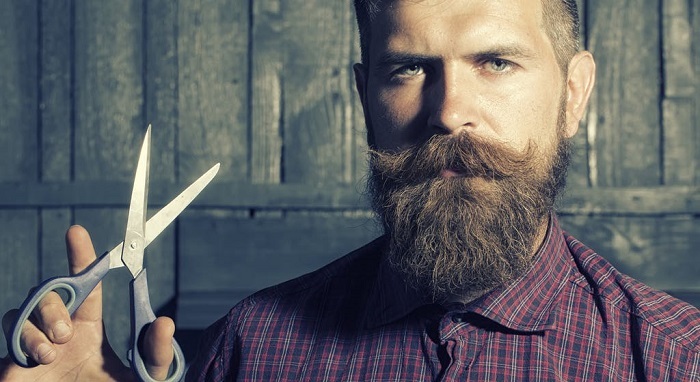 Hair and Beard Scissors: make sure to invest in a quality pair of professional grade scissors. While it may seem like a steep investment, you don’t want to skimp when it comes to keeping your handlebar mustaches in top notch shape. You can make a personal choice between smaller dedicated mustache and beard trimmer scissors or a medium-sized pair with more versatility. To see professional scissors that I recommend, click here. The first thing to know about trimming your handlebar mustache is that it should never be done when it’s dirty because it can affect the end result in terms of shaping. A good time to trim your mustache is right after you shower. The first thing to do is comb your mustache. Make sure to comb in the direction you want the hair to grow in. After combing your mustache, focus on the center. Look at the area just above your mouth and assess how much hair needs to be trimmed in order to keep the hair from growing over your mouth. Next, move on to the undergrowth. This is the extra hair that grows below the lip line on both sides of your mouth. Be careful to trim each side evenly, so your mustache is symmetrical. When you have trimmed these two areas, it’s time to continue with the important upkeep of your mustache. The trimming itself is one step in a larger process that will keep your handlebar mustache healthy and able to hold your desired shape. Know the shape and pattern you’re going for and stick to it. It’s critical to comb your mustache in the same growth pattern each time, as you are teaching your hair how it should grow. Inconsistent combing will result in a mustache lacking balance. Comb your mustache on a daily basis. Whether you are preparing to trim your handlebar mustache or not, it’s important to wax it after getting out the shower. Comb your mustache in the direction of desired growth, heat the wax, and use it to shape your mustache and ends. Make oiling your mustache an integral part of your daily routine for a healthy mustache and nourished skin underneath. Use an oil that contains nourishing ingredients like grapeseed oil, vitamin E oil, or jojoba oil. The process of trimming your handlebar mustache is not difficult. It is simply something that requires patience and consistency to yield the best possible results.